The VW Polo might lack the grins on the road factor of some rivals but it more than makes up for that as an ownership proposition. Never before has a supermini felt more grown up and of such high quality while still retaining the economy and affordability attributes that buyers in this class look for. The Volkswagen Golf’s understudy really came of age when the latest Polo was introduced in 2009. 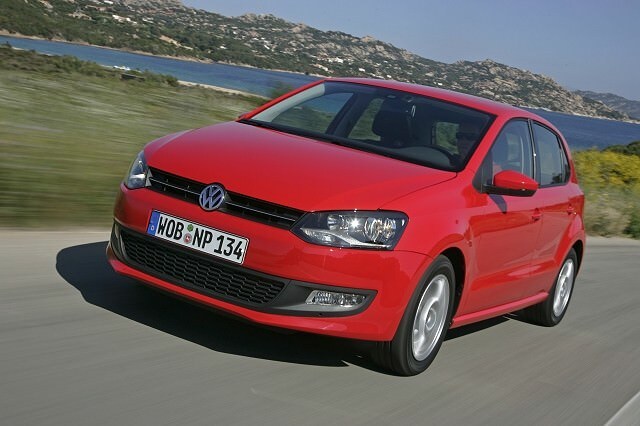 Immediately winning the 2010 European car of the Year award the Polo no longer sits in its bigger relative’s shadow. Not least as it’s bigger; the Polo is now large enough to consider as a viable family car, while quality, refinement and equipment levels all impress, too. Good looks, plentiful choice and decent economy seal its appeal as a used car buy. Mini-Golf looks and an interior that shows all rivals how it should be done are what marks out the Volkswagen Polo among other small cars. It might lack the dynamic driving appeal of its Ford Fiesta rival, but it trounces all-comers in the desirability stakes. The range of engines is extensive, with 60- and 70hp 1.2- and 1.4-litre 85hp petrol choices and a pair of turbodiesels of 1.2- and 1.6-litre capacities with 75- and 90hp respectively. Economy minded buyers should seek out the BlueMotion model with its impressive 3.5 litres/100km combined consumption figure and 91g/km CO2 output. All come with a five-speed manual transmission as standard, though a seven-speed DSG automatic is offered with the range-topping petrol as standard, or as an option on the 90hp 1.6-litre turbodiesel. Three- and five-door variants are offered, though three-door models are only available at the entry point to the range. Trim levels start at Trendline, going through Comfortline then Highline, with the BlueMotion model topping the price tables - despite lacking the comprehensive specification of the Polo Highline. Middling specification Comfortline adds alloy wheels and air conditioning over the decent - if not overly generously specified - Trendline models, making them the cars to seek out used. A 1.2-litre TDI turbodiesel with 75hp in Comfortline specification is all the Polo you could ever need. Air conditioning, alloy wheels and the combination of excellent economy (its official combined consumption figure is 3.9 litre/100km) mated with respectable performance make it a difficult car to find fault with. Only offered in this guise as a five-door with a manual transmission, safety equipment across the range is comprehensive. Good looks and its high quality interior only add to its appeal.